Our 2013 India group tour was one to remember. We traveled throughout the famous “Golden Triangle” (Delhi, Agra, Jaipur, Pushkar), flew down to Mumbai, and then to the magical coastal area known as Kochi. Arguably one of our favorite parts of this trip, Kochi is filled with unique cultures, landscapes, and people that are distinct from where we had been up north. 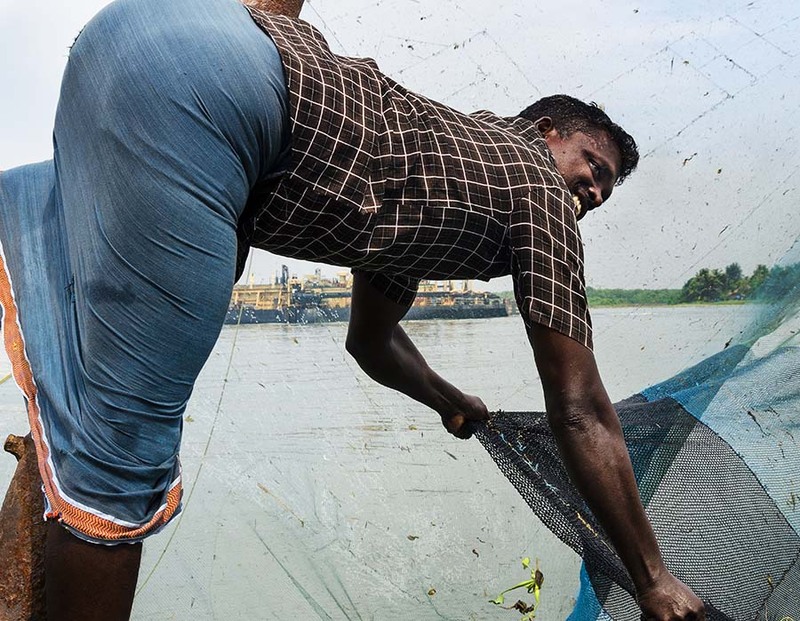 The fishing culture and famous Chinese fishing nets were a blast to photograph. The fisherman were extremely friendly and even let us use the lever system that lowers and rises the net. We didn’t catch any fish this time but got some great shots like this one!